Film Studies For Free is a longstanding and ardent supporter of the online journal World Picture. Today, FSFF is thrilled to bring you news of the latest issue (no. 5) on Sustainability which has just gone online. There are plenty of wonderful film-related items, as usual, as well as some timely and important essays and interviews on sustainability from a number of other key perspectives for the Arts and Humanities. Below, you can find the issue’s table of contents, and below that you can find the call for papers for the next World Picture conference, this time in Toronto, so do please scroll down for those. Eugenie Brinkema Burn. Object. If. Richard Dyer talks about his research project at the International Research Institute for Cultural Technologies and Media Philosophy (IKKM) Weimar. Period of fellowship: February 2009 – July 2009. Also see Richard Dyer’s IKKM-Site. Inspired by the video, above, of the sublime Richard Dyer talking about “The Wind in Fellini” in simply one of the best Film Studies lectures currently available on the internet, Film Studies For Free today brings you some choice links to openly accessible, and high quality, studies of and further viewing on the work of director Federico Fellini, and of his collaborators, like Nino Rota (the subject of a wonderful new book by Dyer). Just so you know, FSFF is off on a trip shortly and will be back, joyously labouring away to track down such wondrous links as these below, in just over a week. See ye efter! Richard Dyer, ‘Tales of Plagiarism And Pastiche’, Nino Rota: Music, Film and Feeling (London: Palgrave/BFI, 2010) (27 free pages) Book info. Luckily, the embarrassment is mitigated by the fact that, at the same time, it is blowing the trumpet of a very worthy event on a subject so close to FSFF‘s heart — Open Access Film Studies — as to be almost indistinguishable from it. All of which is to say, please read the below announcement and, if you are in the very bonny vicinity of St. Andrews University next Wednesday, do consider coming along. Our fifth annual study day (organised by Chelsea Wessels) will be devoted to the subject of the free dissemination of film studies work and resources via the internet. The keynote speaker will be Dr. Catherine Grant, Senior Lecturer in Film Studies at the University of Sussex, who runs the ‘Film Studies for Free‘ website. This is a great opportunity for anyone interested in postgraduate study at the Centre for Film Studies, or simply in finding out more about what we do, to meet staff and current students. >Citizen Butler! Thank you for 20 great years of SCREEN-L! 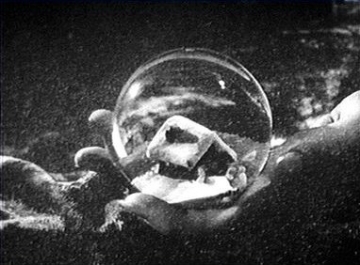 Image from Citizen Kane (Orson Welles, 1941), one of the films studied in the 1982 PhD thesis “Toward a Theory of Cinematic Style: The Remake” by Jeremy Butler at Northwestern University. One of Film Studies For Free‘s heroes is Jeremy Butler, professor of television, film, and new media at the University of Alabama, and the founder of Screen-L (an e-mail discussion list for film/TV educators and students, founded in 1991), ScreenSite (a website to facilitate the teaching and research of film/TV/new media) and ScreenLex (a pronunciation guide for film/TV students of all ages). The former two ventures are some of the earliest Internet resources for film and TV studies teachers and students. Jeremy also served as the Society for Cinema and Media Studies’ first information technology officer and was a co-founder of that organisation’s website. And he also created a very cool website on Television Style. Below is a message Jeremy sent out to members of the Screen-L list this week celebrating the remarkable 20 year anniversary of that email community. As well as setting out some essential issues for every scholar active in online publishing and research, he also thanks some people for Screen-L’s success. FSFF would like to join some of Screen-L’s other subscribers in turning that gratitude right back at you, Jeremy! Thank you for everything you’ve done as one of the genuine innovators of the Film and TV Studies disciplines. It’s been truly invaluable! Twenty years ago, BEFORE THE WORLD WIDE WEB EXISTED, Screen-L was born. Its first test message was launched out onto BITNET (the “Because It’s Time” Network) on Friday, March 15, 1991, at 7:42 (and 11 seconds) pm, CST. It initially lived on UA1VM, the University of Alabama’s #1 virtual machine–a mainframe computer… big iron! 1991 was the paleolithic era for networked computing. The Internet was not yet the standard platform for email delivery. (Anyone remember the horror that was cc:Mail?) The Internet Protocol (TCP/IP) was principally used for services such as Gopher and file transferring via FTP). The World Wide Web had its public debut on August 6, 1991, but Web browsers that could handle images were still two years away. So, in 1991, Screen-L was kinda cutting edge. I can remember leading workshops at the Society for Cinema Studies (before it added “Media” to its name) on how academics might use this new-fangled electronic mail thing for scholarly purposes. The archive provides an interesting history of the field of media studies. And this archive makes me wonder: 20 years from now, will be able to look back at Facebook’s and Twitter’s data with the same ease? The short answer is, obviously not. Both of those services make it quite onerous to archive their material. And wouldn’t it be interesting to have a crystal ball and see if such services will even exist 20 years hence? I must thank the University of Alabama for hosting Screen-L since day one and thus making our longevity possible. And thanks must also go to the hundreds of Screen-L subscribers over the years. As Screen-L’s moderator, I’ve been grateful for the civility that (most) folks have shown. On we go for another 20 years (and more?)! A fairly self-explanatory post from Film Studies For Free today: a collection of brilliant videos, above and below, recorded at the Documentary Real symposium which took place at October 21st, 2010 at the ‘Vooruit’ in Ghent, Belgium. The main participants were Cis Bierinckx (curator, artistic director Beurshouwburg Brussels), Stella Bruzzi (film theory, University of Warwick), Edwin Carels (curator, art theory, KASK), Marc De Kesel (Philosophy, Radboud University Nijmegen, Artevelde Hogeschool Gent), Katerina Gregos (curator), Steven Jacobs (art history, KASK and Antwerp University), Vincent Meessen (artist), Jasper Rigole (artist), Avi Mograbi (Israeli filmmaker), and Duncan Speakman (artist). The symposium ‘The Documentary Real invite[d] artists and theorists to interrogate the ambiguous relation between documentary film and reality. To what extent can a reel of film capture reality—if this is possible at all—and when can we say that it calls a new reality into being? Do not most films oscillate between ‘document’ and ‘argument’; that is, between representing, rewriting and creating reality? Moreover, what strategies do artists use to document our daily lives? Is the detour through alienation and animation perhaps the proper way to make an outright and truthful work? Do new developments in technological media provide new opportunities for documentary artists? Finally, how do these artistic experiments and their problems represent the culture we live in? Robrecht Vanderbeeken, ‘Introduction’ to The Documentary Real Symposium. >Please help to develop JURN! 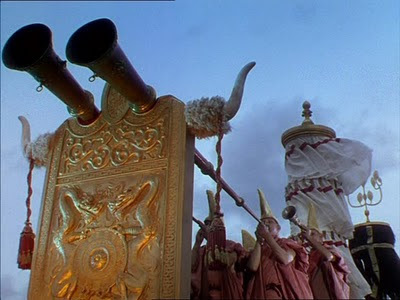 An unusual post at Film Studies For Free today, for which this blog begs your indulgence. FSFF‘s author has just pledged a sum of money in support of the project set out below. It would like you to read the information given and consider whether you believe that this is a project you can afford to support with at least a very small donation. Obviously, it’s not in support of disaster relief, a self-evidently essential cause for us all to find money for, especially at the moment. But it is for an important kind of solidarity, nonetheless, as you will see if you read the text below. If you are a regular reader of Film Studies For Free it’s a form of solidarity from which, FSFF hopes, you are already benefitting in some small way: the JURN search engine is one of this blog’s main hunting grounds for Open Access scholarly material. Anyway, here’s the pledge link if you feel at all inspired by the up-to-now completely selfless (and continuing to be not-for-profit) work of JURN‘s creator. It’s a ‘crowd-funding’ project, so if the target amount isn’t reached, pledged donations won’t have to be paid. Thank you. My name is David Haden. In February of this year I celebrated two years of hand-crafting the best search engine possible for finding free open-access academic content in the arts and humanities. That’s right, it only finds the free content. You may have used Google Scholar, only to find page-after-page of links that lead only to requests for payment or passwords. My JURN search-engine is different. Almost every link you see in JURN should lead you to free full-text scholarly content, most of it from peer-reviewed journals. Now I want to take JURN to the next stage. I’ve already made a big start. My JURN search-engine has been intensively developed over the last two years. I’ve put in thousands of hours of my own expert labour. JURN is now a mature service that runs on the Google CSE platform, albeit one that’s bursting at the seams to expand. Now I want your help to expand JURN, to provide an easy-to-use full-text search service worthy of the world’s hungry minds. 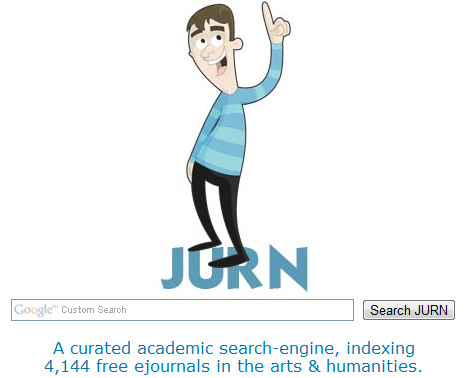 I’ve already spent two years intensively building JURN, a comprehensive Google Custom search-engine for open scholarly journals in the arts and humanities. I’ve tracked down and indexed over 4,000 scholarly and arts publications, a great many of which do not appear on any other index. Now I want to break free of Google and run JURN on my own server and web harvester. Thankfully the excellent mature search software SearchBlox became free in late 2010, and is perfect for the job. SearchBlox will let me go beyond the limits that Google places on its free Custom Search Engines. It will let me expand coverage beyond Google’s 5,000 URL indexing limit. It will let me fully index all relevant web content, and fully index every article found (Google limits the results a Google CSE can access, compared to the main Google Search). It will let me add many new features and refinements to the search results. I now need a server that’s capable of speedily running SearchBlox and making the substantial initial “document harvesting and indexing” run of about a million documents. Sadly, that doesn’t come cheap. I also need to buy myself some hours each week so I can further develop and build this free non-profit service. JURN also needs to be regularly checked for link rot, which is aided by several semi-automated software packages – including some “dark side” SEO software that I’ve converted for more useful purposes. If this project is funded, after initial setup I would hope to be able to add indexing of open-access business journals, expand into education and social science journals, and add academic papers that are self-archived on faculty Web pages, as well as expanding the existing arts and humanities coverage. I want to make JURN the world’s outstanding search-engine for free academic content in the arts, humanities and social sciences. I also want to properly expand beyond content that’s in the English language. With your help, I can do it. Please make a donation. The minimum amount is just £3. 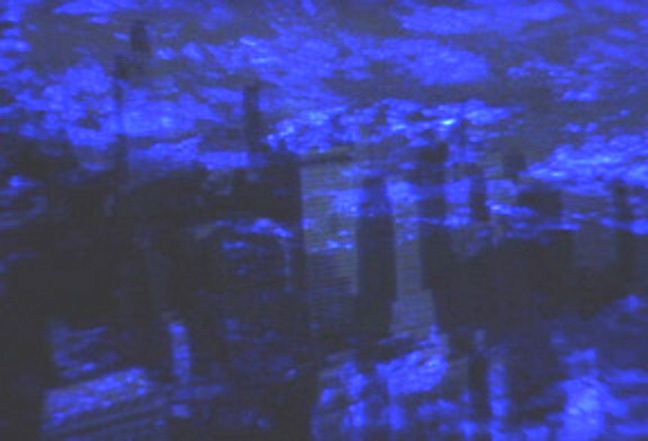 Mass Ornament by Natalie Bookchin – Documentation of HD video installation with 5.1 surround sound. (See also Kristina Schlosser, “The Twenty-First Century Tiller Girls of YouTube in Natalie Bookchin’s Mass Ornament’, UCDAVIS MA presentation, 2010] And also read: Brian Willems, ‘Increasing the Visibility of Blindness: Natalie Bookchin’s Mass Ornament’ and ‘Natalie Bookchin and Blake Stimson, ‘Out in public: Natalie Bookchin in Conversation with Blake Stimson’ linked to below. Film Studies For Free is thrilled to present a link to the second of two Video Vortex Readers (both freely available online): Moving beyond YouTube (large PDF), which has just been published to coincide with the Sixth Video Vortex conference now taking place in Amsterdam. The first VV Reader (Video Vortex: Responses to YouTube, eds. G. Lovink, S. Niederer (Amsterdam: Institute for Network Cultures, 2008) was previously flagged up by FSFF. And this blog also posted on the wonderful presentations (all available for online viewing) from the Fifth VV conference. With its own interest in web cinema and digital film and video studies, FSFF is a great admirer of the work associated with Video Vortex and the Institute of Network Cultures. It very much hopes its own author will be able to attend next year’s conference to catch some of this great work in person. used to online video libraries containing millions of mini-films. In our ‘whatever’ culture nothing seems to surprise us. Who cares about the internet? Continuous technological revolution, from social networking to smartphones, seems to have numbed us down. B-S-B: Boredom-Surprise-Boredom. Instead of an explosion of the collective imaginary we witness digital disillusion – a possible reason why online theory has had a somewhat unspectacular start. The low quality of YouTube’s most popular videos certainly indicates that this platform is not a hotbed of innovative aesthetics. Today, Film Studies For Free celebrates the bountiful, free, Film Studies book samples available for perusal and download at the Palgrave Macmillan website. These may not be the Open Access works this blog normally labours to ferret out and champion. But there have been some astonishingly generous excerpts available online at Palgrave lately, perhaps most notably 72 pages from one of the most exciting of recent film publishing efforts, edited by and with stunning contributions from some brilliant former students, colleagues and friends of FSFF‘s author: James Walters and Tom Brown’s remarkable collection Film Moments: Criticism, History, Theory. Caroline Bainbridge, ‘Introduction’, A Feminine Cinematics: Luce Irigaray, Women and Film (2008) (16 free pages) Book info. Emma Bell, ‘Introduction’, Reading Management and Organization in Film (2008) (16 free pages) Book info. Daniela Berghahn and Claudia Sternberg (eds), ‘Introduction’, European Cinema in Motion: Migrant and Diasporic Film in Contemporary Europe (2010) (35 free pages) Book info. Peter Brooker, ‘American Modernists in Modern London’, Modernity and Metropolis: Writing, Film and Urban Formations (2001) (39 free pages) Book info. Liora Brosh, ‘Introduction’, Screening Novel Women: From British Domestic Fiction to Film (2008) (21 free pages) Book info. James Chapman, Mark Glancy and Sue Harper (eds), ‘Introduction’, The New Film History (2007) (24 free pages) Book info. Teresa De Lauretis, ‘Introduction: Death @ Work’, Freud’s Drive: Psychoanalysis, Literature and Film (2008) (29 free pages) Book info. Dennis Denisoff,, ‘Introduction: Unsightly Desires’ Sexual Visuality From Literature To Film 1850-1950 (2004) (24 free pages) Book info. K.J. Donnelly, ‘Introduction’, British Film Music and Film Musicals (2007) (22 free pages) Book info. Reena Dube, ‘The Discourse of Colonial Enterprise and Its Representation of the Other Through the Expanded Cultural Critique’, Satyajit Ray’s The Chess Players and Post Colonial Film Theory: Postcolonialism and Film Theory (2005) (46 free pages) Book info. Richard Dyer, ‘Tales of Plagiarism And Pastiche’, Nino Rota: Music, Film and Feeling (2010) (27 free pages) Book info. Robert Eaglestone and Barry Langford (eds), ‘Introduction’, Teaching Holocaust Literature and Film (2007) (20 free pages) Book info. 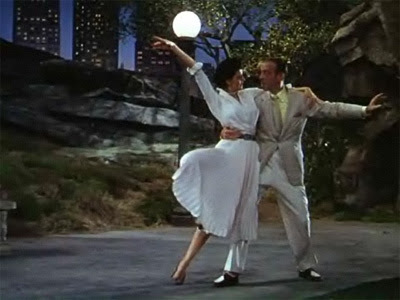 Martin Flanagan, ‘Dialogism and Film Studies: The Dialogic Spectator’, Bakhtin and the Movies: New Ways of Understanding Hollywood Film (2009) (48 free pages) Book info. Thomas S. Freeman, ‘Introduction: It’s Only a Movie’, in Susan Doran and Thomas Freeman (eds), Tudors and Stuarts on Film: Historical Perspectives (2008) (41 free pages) Book info. Patrick Fuery, ‘Introduction: Film and Theory’ and ‘The Gaze: Masochism, Identification and Fantasy in the Spectator’, New Developments in Film Theory (2000) (31 free pages) Book info. Roberta Garrett, ‘Postmodernism, New Hollywood and Women’s Films’, Postmodern Chick Flicks: The Return of the Woman’s Film (2007) (49 free pages) Book info. Greg Giesekam, ‘Introduction: Contamination or Remediation?’, Staging the Screen: The Use of Film and Video in Theatre (2007) (31 free pages) Book info. Kristyn Gorton, ‘Theorising Desire’, Theorising Desire: From Freud to Feminism to Film (2008) (40 free pages) Book info. Stephen Hutchings (ed. ), ‘Introduction’, Russia and its Other(s) on Film: Screening Intercultural Dialogue (2006) (36 free pages) Book info. Stephen Keane, ‘Screens’, CineTech: Film, Convergence and New Media (2006) (30 free pages) Book info. Maurice Hindle, ‘Introduction’, Studying Shakespeare on Film (2007) (19 free pages) Book info. Michael O’Pray, ‘Representation, Depiction and Portrayal in Film’ Film, Form and Phantasy: Adrian Stokes and Film Aesthetics (2004) (32 free pages) Book info. Michael Paris (ed. ), ‘Introduction: Film, Television, and the Second World War – The First Fifty Years’, Repicturing the Second World War: Representations in Film and Television (2007) (20 free pages) Book info. Patrick Russell and James Taylor (eds), ‘The Long Tail’, Shadows of Progress: Documentary Film in Post-War Britain (2010) (12 free pages) Book info. Sharon Lin Tay, ‘On the Edges of the Authorial Voice: Liv Ullmann’s Faithless, Gendered Authorship, and Ingmar Bergman’, Women on the Edge: Twelve Political Film Practices (2009) (25 free pages) Book info. Keith Tester, ‘The Period Films: Tragedies and Miracles’, Eric Rohmer: Film as Theology (2008) (36 free pages) Book info. Brian Lindsay Thomson, ‘Institutional and Critical Priorities at the Beginning of Graham Greene’s Career’, Graham Greene and the Politics of Popular Fiction and Film (2009) (24 free pages) Book info.